If you have recently gotten married and want to learn more about the process of applying for a marriage-based green card either for yourself or for your spouse, Kuck Baxter Immigration are family-based immigration lawyers in Atlanta, Georgia who may be able to help you. Our family-based immigration attorneys work closely with couples looking to get a marriage-based green card, helping our clients navigate every step of the process. We will take the time to learn more about your situation, such as your current immigration status, your background, and your finances, to troubleshoot any areas of your marriage-based immigration application that may raise red flags or that can cause potential issues. If your immigrant spouse lives in the U.S., you can fill out Form I-485. This form allows you to adjust the status of your spouse who is already living in the U.S. to a marriage-based green card. You’ll need to also submit additional information with this application and it is important that all this information be complete. Additional information includes: two, color passport-sized photographs, photocopies of government issued identification documents, birth certificate, and documentation proving that you were inspected by an immigration officer when entering the country (copies of passport with your visa or entry stamp). In addition to this information you should also submit a copy of your marriage certificate and may want to submit additional proof that you are in a legitimate marriage (such as proof of shared bank accounts, wedding announcements, or proof that you and your spouse live together). You may also need to submit additional documentation, such as evidence that you have continually maintained your lawful status in the U.S., either on a work visa, student visa, or visitor’s visa. You may need to submit proof that you were working at the job for which your work visa was issued, or show proof that you were enrolled in school while you were on a student visa. The U.S. citizen spouse will also need to submit evidence that they can financially support their partner. The immigrant spouse will need to submit to a medical examination and send the official forms from the results to USCIS. Additionally, the immigrant spouse must submit any court records or police report for criminal records. You didn’t maintain continual legal status or don’t have proof of continual legal status. If you don’t have evidence that you were inspected at the border or don’t have a visa or stamp, you might have difficulty proving that you have maintained continual legal status in the U.S. 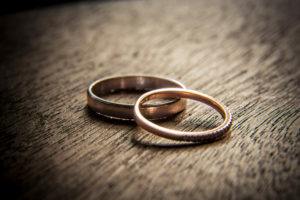 Applying for a marriage-based green card when you cannot prove your legal status could be risky, because it can trigger deportation or further inspection by USCIS. If you are not sure about your status, it is important to speak to the green card lawyers at Kuck Baxter Immigration in Atlanta, Georgia today. You don’t make enough money to support your spouse financially. The government uses special formulas when determining whether you meet the standards to support your spouse. Kuck Baxter Immigration can look at your financial situation and advise you about whether you meet the requirements. Under the current presidential administration, laws regarding who is considered a “public charge” have changed. Individuals who have accessed food stamps or other aid programs may be considered public charges, so it is important to take steps to show that you are financially independent if you have taken advantage of these programs or if you do take advantage of these programs. You have a criminal record or arrest. Having a criminal record or arrest won’t necessarily bar you from receiving a marriage-based green card, but you may be required to submit additional documentation and support to show that the arrest didn’t lead to a conviction or that your charges were expunged. Kuck Baxter Immigration are family-based immigration lawyers in Atlanta, Georgia who can advise you on the next steps if you have a criminal record or history. Attend your biometric services appointment. Once your application has been submitted, you may need to attend a biometric services appointment during which you’ll need to submit fingerprints, be interviewed, and undergo a background check with the FBI. Kuck Baxter Immigration, are family-based immigration lawyers in Atlanta, Georgia who can help you prepare for your interview. Handling requests for more information. From time to time, USCIS may request additional information or documentation. If additional information is requested, Kuck Baxter Immigration are family-based immigration lawyers in Atlanta, Georgia who can help you get the supporting documents you may need for your application. These are just some of the steps you may need to take in order to get a family-based green card for your spouse. As the process unfolds, it can be helpful to have a family-based immigration lawyer on your side, like Kuck Baxter Immigration in Atlanta, Georgia. Our attorneys can look over your application to ensure that it is thorough and complete and well-documented before you send it. Sending a completed application can help prevent you facing requests for additional information. Our firm can also help you prepare for the biometric appointment and for your interview for your marriage-based green card. If you have questions about the family-based immigration process in Atlanta, Georgia, contact Kuck Baxter Immigration today. Our immigration attorneys will take the time to learn about your situation, troubleshoot your application for any potential issues, and work with you to help you get your marriage-based green card as soon as possible. Your green card is an important document. Protect your rights and be informed before you apply.